BALTIMORE — These are not your parent's toys. Nowadays, dolls talk and teddy bears start conversations. Smart toys have soared in popularity. They come with microphones, cameras and can store conversations. And once connected to the internet, that information becomes a target for hackers or many generate money for businesses. 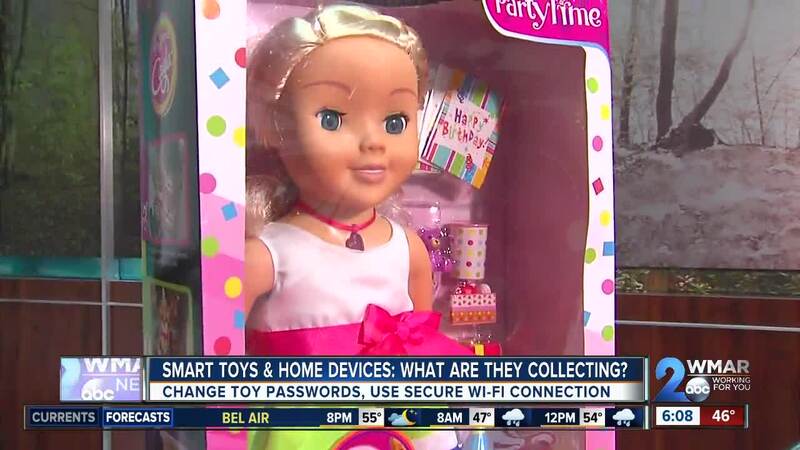 “This toy may share user information with advertisers or even sell information to third-parties,” said Kyanna Cadwallader with the Maryland Public Interest Research Groups Foundation. At this year’s “Trouble in Toyland” news conference, the consumer watchdog group warned parents about privacy invasive toys, including Dash the Robot, a kid-friendly robot that connects to apps via Bluetooth helps kids learn to code. The Mozilla Foundation didn’t find that the app is more susceptible to hacking than other apps, but did say a hacker could potentially access the microphone and listen in. Cybersecurity experts have also found that smart toys, in particular, are vulnerable to cyberattacks. Unlike smart home devices, phones and computers, these toys lack sophisticated security mechanisms. Last year, the FBI issued a warning to parents on the potential risks and how smart toys can create opportunities for child identity fraud. “The microphone, the GPS data, digital data entered directly into some of these internet devices infringe on the privacy rights, violate consumer protection laws and pose serious threats to the safety of our young kids,” said Maryland Attorney General Brian Frosh. Federal law requires companies to get parental permission before collecting and sharing data of children under 13. “What kind of information does this toy collect on your child? And who does it share that information with? Can you turn off these settings and what settings can you not turn off? And how does the information that the toy is collecting on your child, how could that information put your child at risk?,” asked Cadwallader. The Mozilla Foundation ranked internet-connected devices based on their level of "creepiness." Click here to see what products have the ability to spy on you and whether or not you can control it.